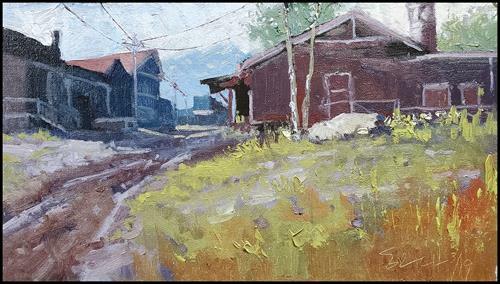 This Saturday the 16th is reception for LPAPA's Best of Plein Air. The painting above "Super Late Afternoon" will be hanging. I'll be there. The painting you see above, titled Back In Time will be in the CAC Small on the Wall show being held at Studio 2018 in Newport Beach, CA. Tony's gallery. Yay!